Still accepting applications for Fall 2019! Is this your first time applying to college? We’ve made the application process as easy as possible. Just send us the items below. Have a question? We're here to help! Email admissions@gordon.edu or call 866.464.6736. Please request that your school counselor submit a Secondary School Report form, including Counselor Recommendation to admissions@gordon.edu. If your school does not have a preferred Secondary School Report, please contact us. Your SAT, ACT or CLT scores (for SAT, visit collegeboard.org (school code 3417); for ACT, visit act.org (school code is 1838); for CLT visit cltexam.com. If you’re planning to major in art or music, there are a few additional requirements. See the music admissions checklist and/or the art portfolio guidelines. Students interested in the Global Honors Scholars and A. J. Gordon Scholars programs should complete their admissions application by the November 1 Early Action I deadline. Students interested in the First-Year Fellows and Clarendon Scholars programs should complete their admissions application by the December 1 Early Action II deadline.  Gordon College does not discriminate on the basis of race, color, national or ethnic origin in administration of its educational policies, admissions policies, scholarship and loan programs, and athletic and other school-administered programs.